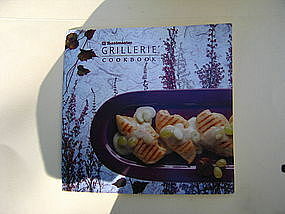 This is the cookbook that was sold with the Toastmaster Grillerie. It was printed in 1992 and has 29 pages. There are no rips, tears, stains or missing pages, but has a bit of shelf wear. Included with the cookbook is the 19 page "Use and Care Guide" booklet. I need your zip code to calculate the postage.